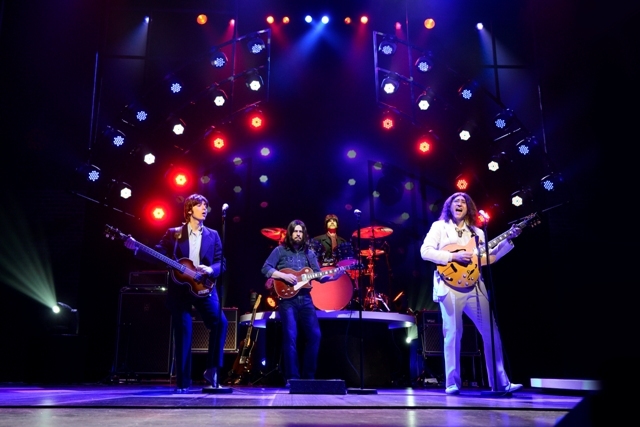 Lying somewhere between a tribute act and a musical, Let It Be evokes feel-good memories of the Fab Four's musical legacy. It charts the history of The Beatles from their early hits through the height of Beatlemania and a finale of their concert on the rooftop of Apple headquarters. 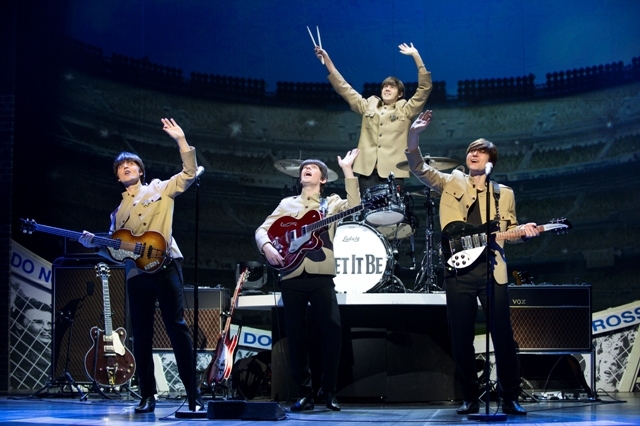 The show is on at Birmingham Hippodrome - interestingly, 53 years after the original Fab Four actually performed there - and stays for a week until Saturday April 30. There's a strong cast of musicians playing The Beatles and although they don't look a lot like them, the way they sound and play is spot on. Plus they are kitted out with the right outfits for each period. Reuven Gershon as John Lennon looked the most similar to his role, but Ian B Garcia managed to achieve an uncanny likeness of voice tone to Paul McCartney. Stuart Wilkinson on drums came very close to Ringo's accent in the brief section when he chatted to the the audience, while Paul Mannion was hugely impressive on guitar as George Harrison, particularly during his solo performance. Celebrating the music of the world's most successful rock 'n' roll band wasn't going to be easy, especially with plenty of tribute acts around. Adding a touch of theatrical glamour, Let It Be is set out as a spectacular concert that jumps in time to key moments in the band's career. It's aided by huge television sets that relay black and white images of the action on stage while also mingling in real footage from Beatles appearances. The televisions are also used well during scene changes when they show nostalgic, funny adverts from the 1960s. 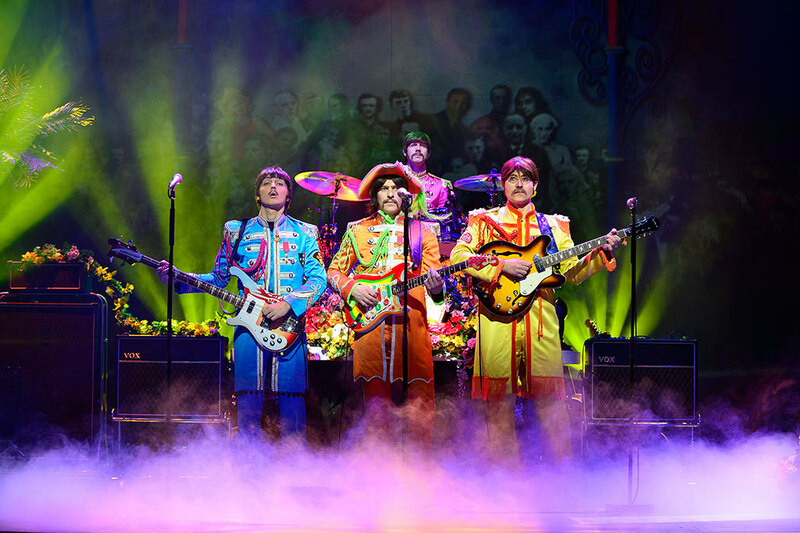 While huge hi-tech screens around the stage help recreate different backdrops, whether it's images from Sgt Pepper's Lonely Hearts Club Band or film scenes for a Hard Day's Night. The most impressive and atmospheric scene is where The Beatles are performing at Shea Stadium during their American tour in 1965. The band are surrounded with real-life film footage taken at the concert showing female fans screaming and crying. The live music is also accompanied by so much noise and wild screams that it goes some way in explaining why this huge concert put The Beatles off performing live. Ultimately, it's the music that draws in the crowds and Let It Be features over 40 of The Beatles' greatest hits including Twist and Shout, She Loves You, All You Need Is Love and even Yellow Submarine. The slower hits prove the most poignant, songs like Yesterday, Here Comes The Sun and a well chosen close to the evening of Hey Jude. Where Let It Be falls short is that it doesn't have any extra depth to the show to add to the music. It lacks a strong narrative, something that musicals like Buddy and Jersey Boys, in particular, have excelled at while also bringing to life the music of those stars. But that said, Let It Be has already proved hugely popular in the West End and Broadway and has been seen by over one million people worldwide. It will thrill those who love The Beatles' music. Tickets cost from £13.50 from the Birmingham Hippodrome website.